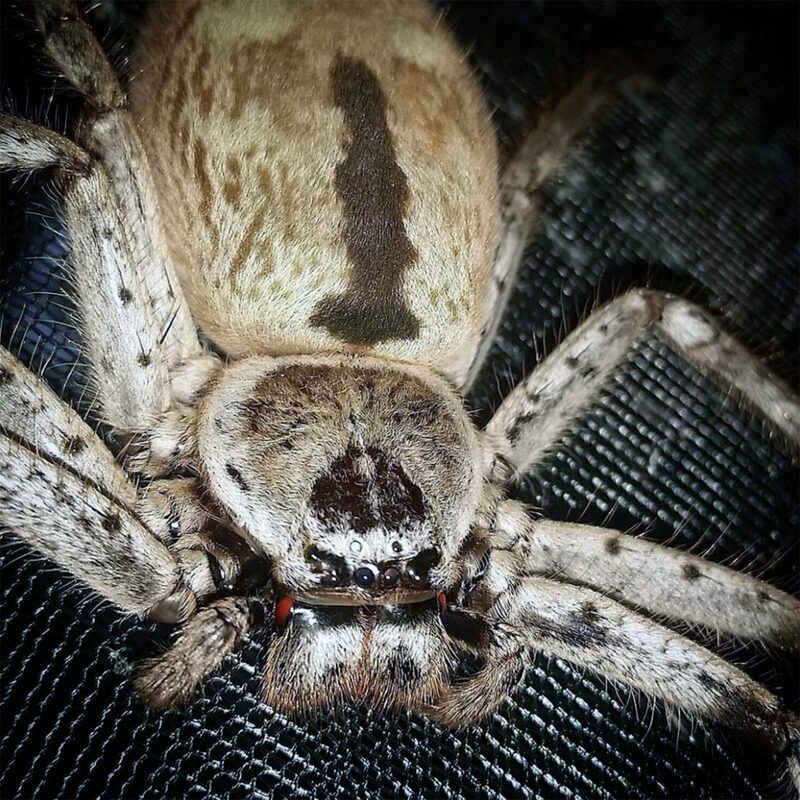 This bloodcurdling video of a hulking huntsman watching over hundreds of her babies has been shared to give spiders a better image by a mum who keeps the creepy crawlies as PETS. 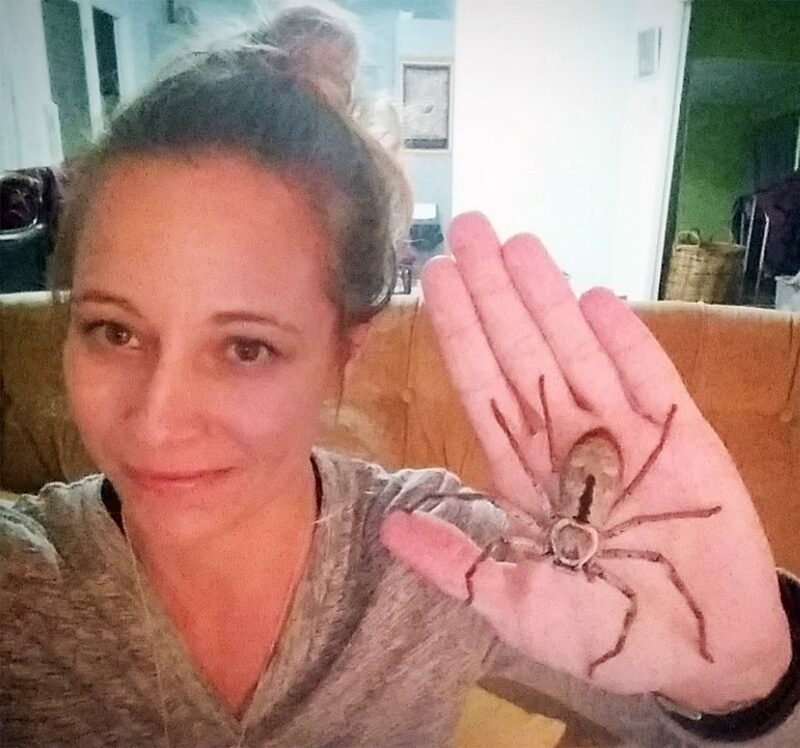 Most people have cats or dogs as companions but Lisa Donovan, 44, prefers cuddling up to a 15cm huntsman named Mrs Flufferbum and her 200 spiderlings. 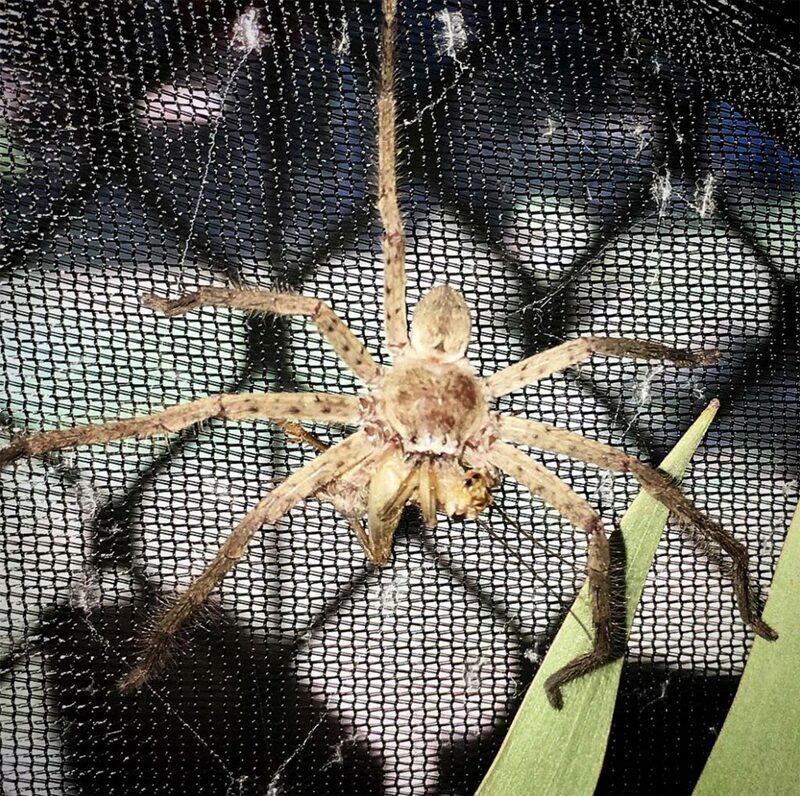 And Lisa has shared footage of the mother spider keeping watch over the fleet of hatchlings as they scamper over her egg sack in a cage in Lisa’s home in Hervey Bay, Queensland, to help people overcome their arachnophobia. 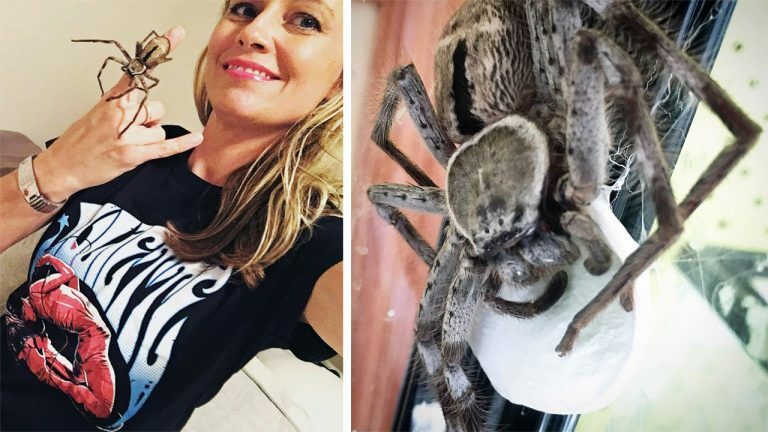 While the video is enough to make most people’s skin crawl, mum-of-three Lisa hopes it will help take the sting out of spiders by showing how they nurture and protect their young. Lisa, who is studying entomology, said: “I hope people see the video and see the size difference, understand what it takes for them to grow to that size then maybe think twice before squishing them. “She guarded her egg sack relentlessly, day and night for over a month until they hatched. “I have already had lots of people contact me on social media and tell me they are no longer scared of spiders because of seeing my post. I have changed them. It makes my day. The huntsman’s babies hatched one month ago and since then Lisa has been feeding the family crickets, cockroaches and even a light mist of water to keep hydrated. The spider family is among dozens of creepy crawly pets kept in a room of Lisa’s house aptly named the ‘bug room’. Lisa began her love affair with Australian critters after moving from the US nine years ago, and has since welcomed dozens of different species into her home. Despite once suffering a bite from a huntsman that felt like ‘two needles in her hand’, Lisa’s affection for the eight-legged creates in unwavering. Lisa said: “I once tried to move a huntsman I thought was dead in the rainforest. It stuck its fangs in me and it hurt more than I could have imagined. It felt like two needles. “I’ve always liked wildlife but it wasn’t until I came to Australia I was really wowed by the size and beauty of the spiders. The bigger the better.